I find a lot of joy in being able to bundle the passion I have for horses and the western lifestyle along with my job as a buyer in the same industry. 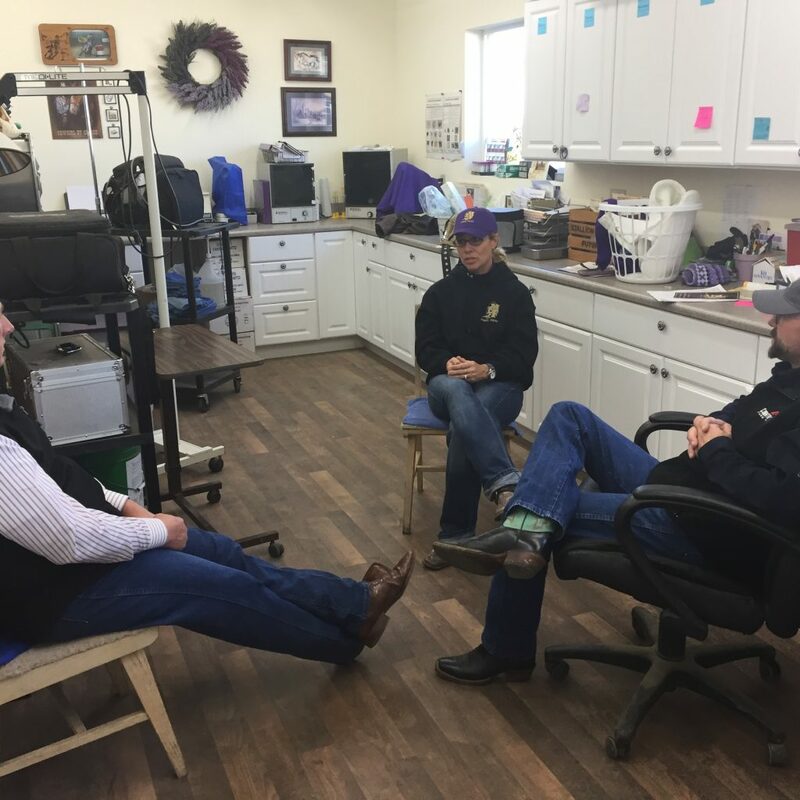 In October I was able to take this one step further and go on farm calls with our outside salesman Bryant Grenz and Dr. Stephen Duren PhD with Performance Horse Nutrition. Dr. Duren works with Skagit Farmers Supply thru our relationship with LMF Feeds. He is the nutritionist and formulator for LMF and their premium equine feed. Dr. Duren is an absolute wizard in performance horse nutrition. He travels all over the world consulting with owners on their athletes feeding programs and how nutrition can maximize their performance. 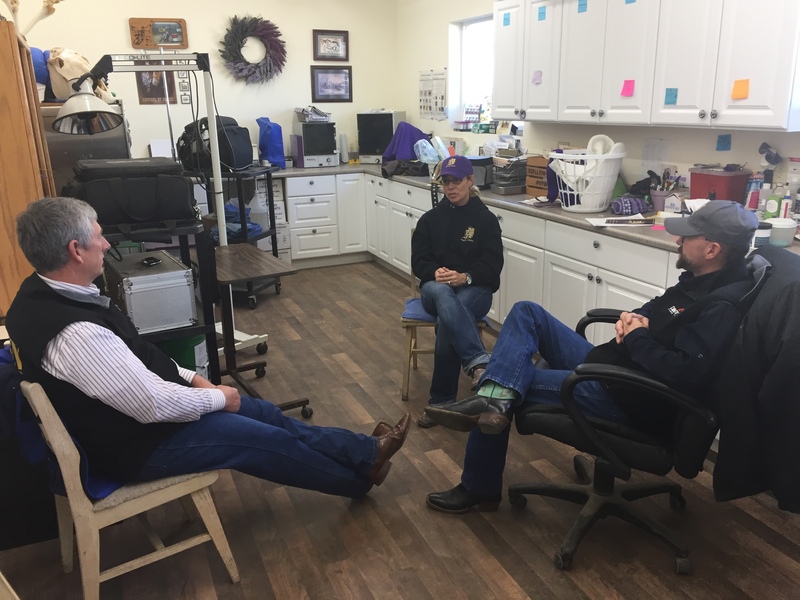 Because our co-op manufactures LMF feed at our mill in Spokane we are able to offer a few of our clients on the east side the unique opportunity of having Dr. Duren come to their farms and conduct a personal consultation. The conversation was “mind blowing” for a horse enthusiast! Our first visit was with Dr. Kathy Grimes. She has been a long time customer of Bryant’s and feeds LMF. 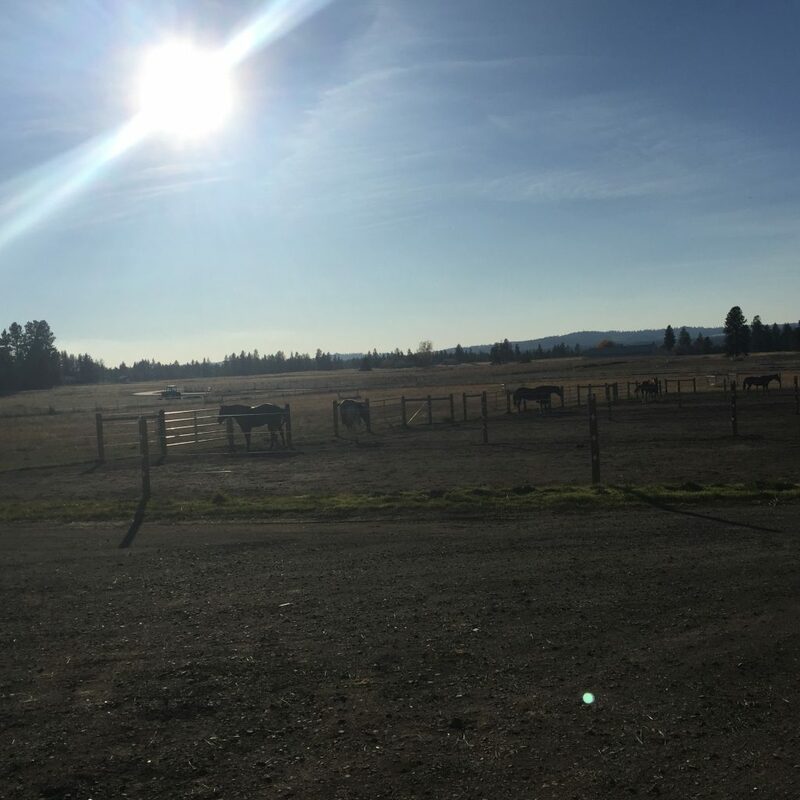 Dr. Grimes runs a breeding operation out of her home in Medical Lake, Washington and has quickly become known as one of the top embryo transfer vets in the equine industry. However, these days she is better known as a 2017 Wrangler National Finals Rodeo Qualifier. In the sport of rodeo, this is the Super Bowl! Of the hundreds of girls that try every year only 15 make it to Las Vegas and Dr. Grimes is one of them. Pairing these two doctors up was a wonderful experience to be part of. The detail that is taken in keeping Dr. Grimes two amazing athletes fit and healthy is a full time job. Yet she has maximized the simplicity of LMF Super Supplement and good quality hay proving her results at the highest level. 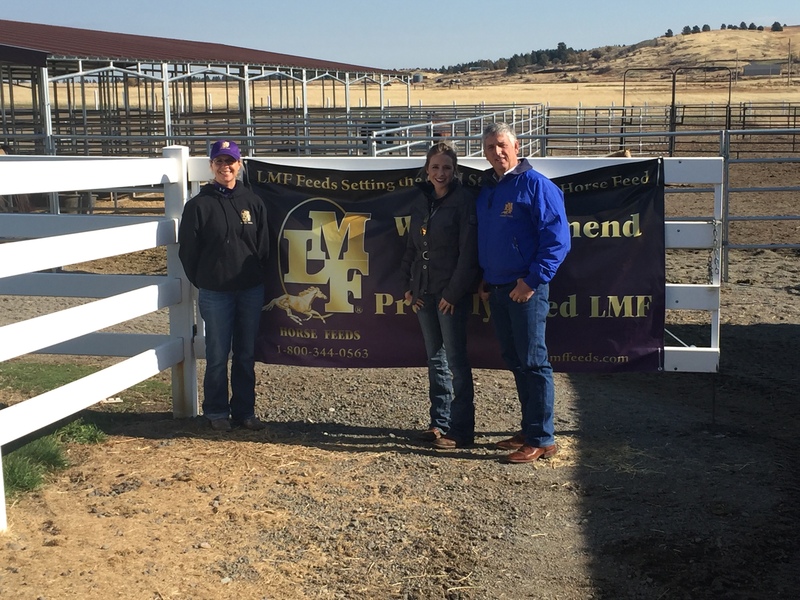 She has recently become an LMF branded rider! Our Next stop was with a customer in Cheney. This customer had a multitude of high quality horses with each their own metabolic issues. The LMF formulations of Low Carb Stage 1 and Gentle Balance have been her go to in addressing these issues. As Dr. Duren went thru each situation he was able to reiterate the feeding program that Bryant had come up with utilizing good quality low sugar hay and the specialty LMF feeds. Though this customer was not competing at a national level her concerns for her horse’s health and nutrition were no less than Dr. Grimes who was performing at the highest level of her sport. Our third stop for the day was to a boarding facility with their head trainer. 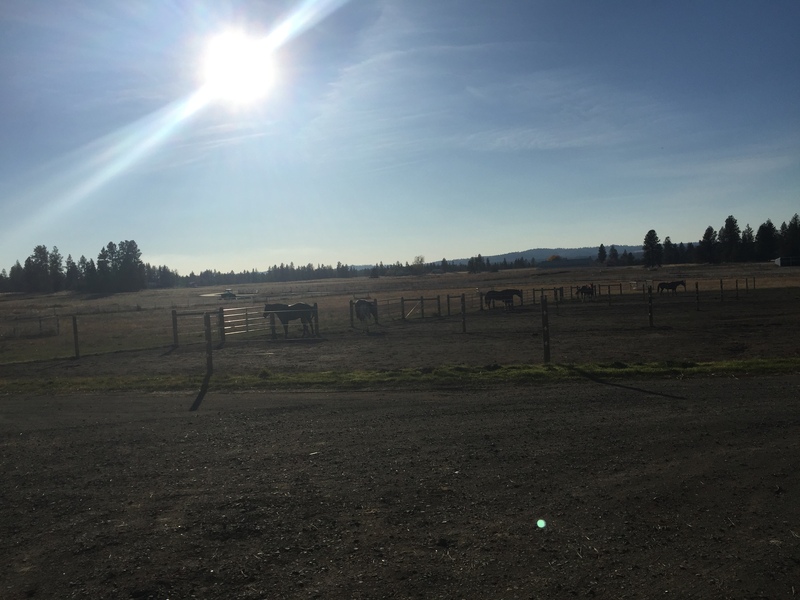 She had a range of barrel horses, western pleasure horses and pasture pets. 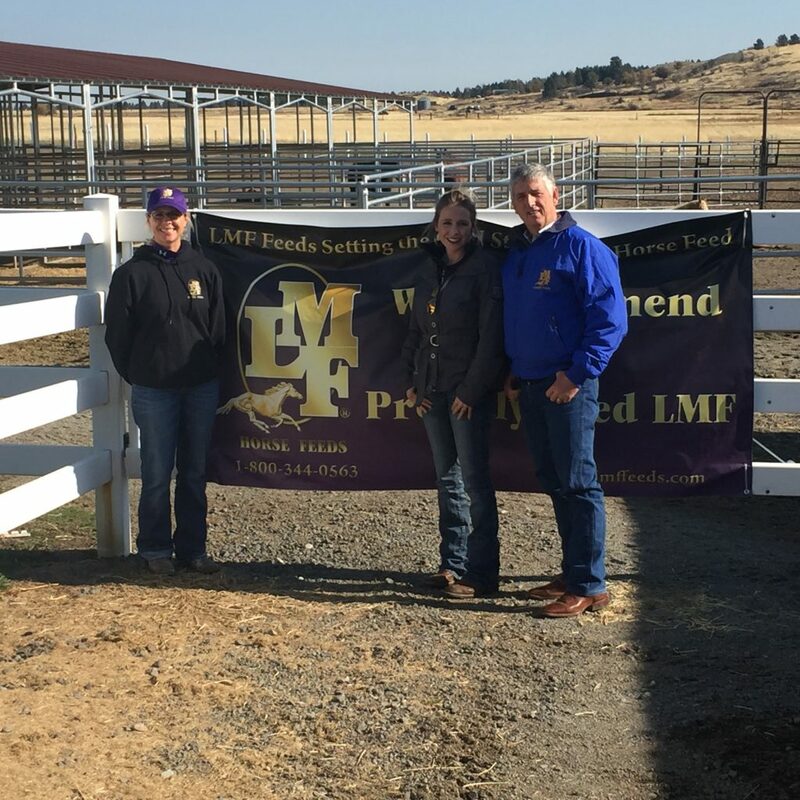 We spent some time with her and her clients going over their feeding programs and how to best utilize LMF feeds in a range of situations, metabolic issues, behavioral issues and treating stress issues. Again, it was about keeping the feeding program simple and LMF feeds is the foundation of that. 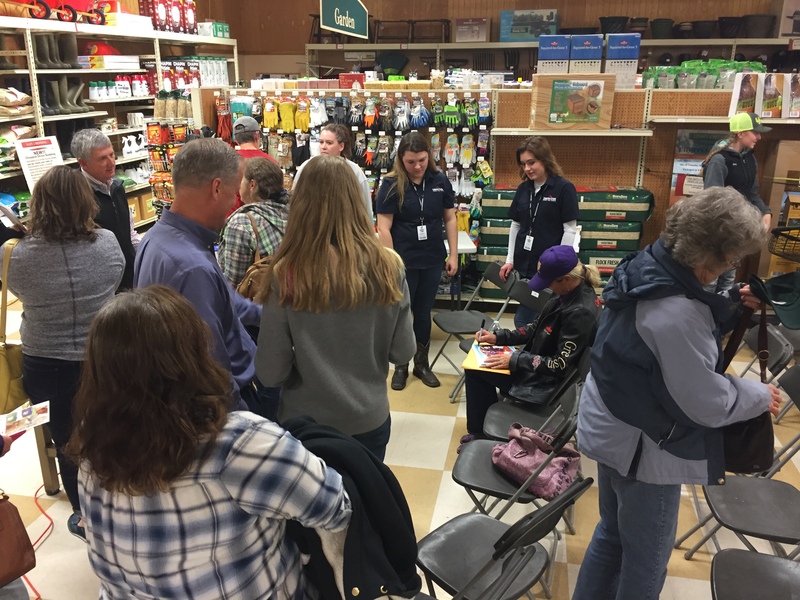 Our final stop was an evening nutrition clinic held at the Central Spokane Country Store. 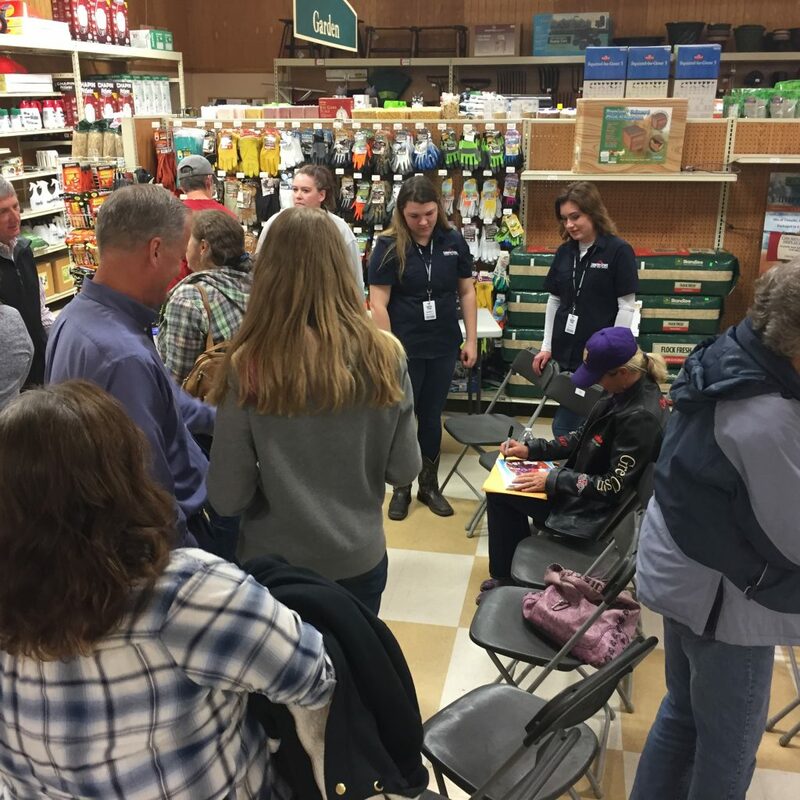 Almost 40 attendees were on hand for the clinic presented by Dr. Duren along with an autograph signing with Dr. Kathy Grimes. We held a Q&A session after the clinic which was also posted live on Facebook for other customers to participate in. The clinic was a huge success thanks to the entire Central Spokane Country Store crew! They did an amazing job promoting the event as well as set up and participation in the clinic. All and all the day was a huge success. There is no better feeling than knowing you had an opportunity to help someone and their equine athlete or simply their four legged baby. All owners seem to have the same goal, keeping a happy and healthy horse. We hope to put on a similar event on the west side of the state in 2018 and I am more than excited about the future for LMF feeds and the Country Store.